I’m really looking forward to playing a set at the Vortex Jazz Club in Dalston this Tuesday 1st August, opening for incredible pianist and fellow Norfolk boy Kit Downes. 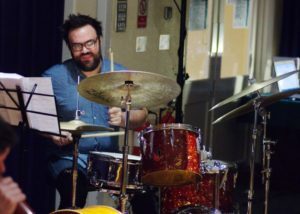 Can’t wait to hear Kit’s set – he’ll be joined by Sam Lasserson on bass and Colin Stranahan, who’s over from New York, on drums. I’m playing with Conor Chaplin and James Maddren and we’ll be playing our take on this beautiful Richard Rodgers song and this v v hip Dexter Gordon number, amongst other things. More info about the gig here.